Thank you for writing about the Nias Museum website. We want to inform you that the address of The Nias Museum website is http://www.museum.pusaka-nias.org and also http://www.museum-nias.org. 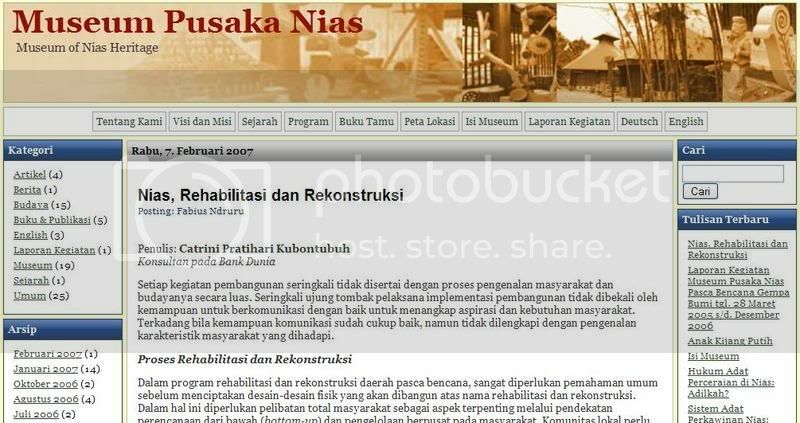 We hope that the website URL address of the Museum of Nias, which was made in this blog, can be repaired.